Prime Minister Thongloun Sisoulith has called on residents of Thaxang village in Vientiane’s Pakngum district to expand their organic vegetable farming, which has succeeded in contributing to improved community livelihoods. Information ministers have exchanged views with the aim of strengthening the China-Asean strategic partnership for peace, prosperity and boosting media exchanges and cooperation. 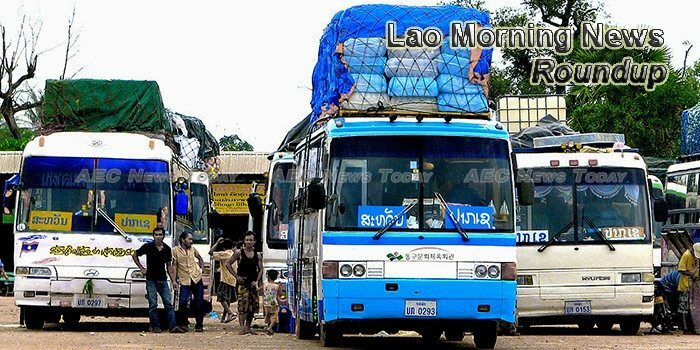 Construction of the Vientiane-Vangvieng expressway is expected to begin early next year after the governments of Laos and China signed a joint-venture investment deal on the project last week. The Lao Sat 1 project worth US$ 258 million is expected to reach its breakeven point in 10 years of operation, according to Lao Asia-Pacific Satellite Director Ding Yongbing. Minister of Foreign Affairs, Mr Saleuxay Kommasith and his delegation will pay an official visit to Australia on November 25-29 to strengthen the existing friendly relations and cooperation between Laos and Australia.